Howard Stone likens a jazz jam session to a fantastic conversation. Sometimes you fall into a vibrant discussion that surprises you. It not only makes you feel alive with cognitive and creative power, but introduces ideas and perspectives you’d never heard before. It causes you to walk away feeling inspired, even a better person. Such is the magic of the 23rd Annual Vail Jazz Labor Day Weekend Jazz Party. The beauty of the Vail Jazz Party is that in addition to the fact that every session features a collection of world-class musicians, each ensemble delivers a one-off spontaneous masterpiece that never be exactly reproduced or repeated. 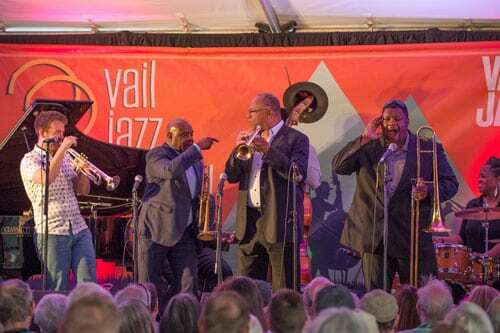 From Friday through Monday, in addition to numerous multi-media performances, the Vail Jazz Party is comprised of morning, afternoon, evening and late-night sessions fusing soloists and band members who, in some cases, have never played together before. Combining individuals is a complex jigsaw puzzle for Stone to solve year after year, placing not only the necessary instruments for a complete ensemble, but matching talent and personalities who likely to sync and, hopefully soar. Award-winning drummer and long-time Vail Jazz Party favorite Jeff Hamilton has experienced the magic of Stone’s match-making to the point that the sessions have led to lifelong friendships, tours and recording collaborations. A couple of years ago, Stone persuaded the drummer to share the stage with Japanese-born pianist Akiko Tsuruga. Hamilton was initially reluctant because he didn’t think their styles and approaches would pair well. The two have since performed numerous times and recorded two? Albums together. A similar bond emerged last year between Hamilton clarinet sensation Adrian Cunningham, whom collaborated on Cunningham’s forthcoming record (the release part is Sept. 1 during the Vail Jazz Party). There is indeed a type of telepathy at work at the Vail Jazz Party. Adrian Cunningham calls it intuition. Of course, there is a lot of background and know-how involved, too. Whether it’s an American Songbook classic or a rare tune passed down from generations in a distant land, the Vail Jazz sessions deliver numbers with volcanic energy as if each ensemble had played and practiced together for weeks. The affect of a successful Vail Jazz session is an epiphany. The Vail Jazz Party, if all goes well, leads to one epiphany after another, not just for the musicians, but for the audiences. 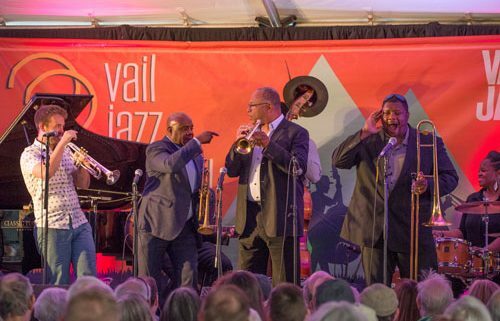 From Aug. 31 to Sept. 4, the Vail Jazz Party features more than 70 musicians delivering special performances, tributes and jam sessions. Tickets to sessions (which include multiple performances) start at $55. Weekend passes are also available. For full lineup of artists, performance schedule and tickets, visit vailjazz.org or call 888-VAIL-JAM.